I Can’t Bond… I feel Guilty & Ashamed – A Splash of Love…. In my post on Family Dynamics, I talked about my life-long struggle with healthy bonding in relationship. The response I got from readers surprised me. The first thing that took me off guard was that so many of you understand my struggle. The second is that it’s another one of those ‘secrets’ we feel we need to keep because of shame, fear and guilt. Until recently, I always felt that it is only me. My personal struggle and no one in the world would understand it, or at least very few. “Your ability to bond was destroyed in childhood,” she said. Just like that. Matter of fact. For me it’s always been this way. When I left home at fifteen, I only saw my family a few times in over two years. I almost forgot I had family, and thought of them mostly only when someone asked. It didn’t occur to me then that it might not be normal. For me, it simply was…. My reality. Out of sight, out of mind. In the messages I received from readers, following that post, not only did I discover just how common this is. I also noticed a familiar pattern of guilt and frustration, accompanied by a deep sense of loss. So these are the things I would like to explore further, especially the guilt. Guilt. That horrible feeling that I should be more than I am. It’s my fault. There is something wrong with me. It is an all-consuming, physically debilitating, mentally crippling lie. Where there is guilt, there is shame. And where there is shame, we are being further robbed and destroyed, because it means that ‘the thing’, whatever it may be, still has power over us. Still holds us in its grip. The inability to bond is not my fault. There is nothing I could have done as a child between birth and age 15 that would remove that struggle. And the fact that you can’t bond is not your fault. There is nothing you need to do now to ‘fix’ it or undo it. You simply need to release the guilt, and invite God to use the aftermath for a good purpose. For some of you who wrote, this struggle is predominantly the result of sexual abuse, for others, as it was for me, it is the result of any combination of sexual, emotional, physical, spiritual abuse and/or violence. There is nothing you could have or should have done, that would make one iota of difference in outcome. It is not your guilt to carry. 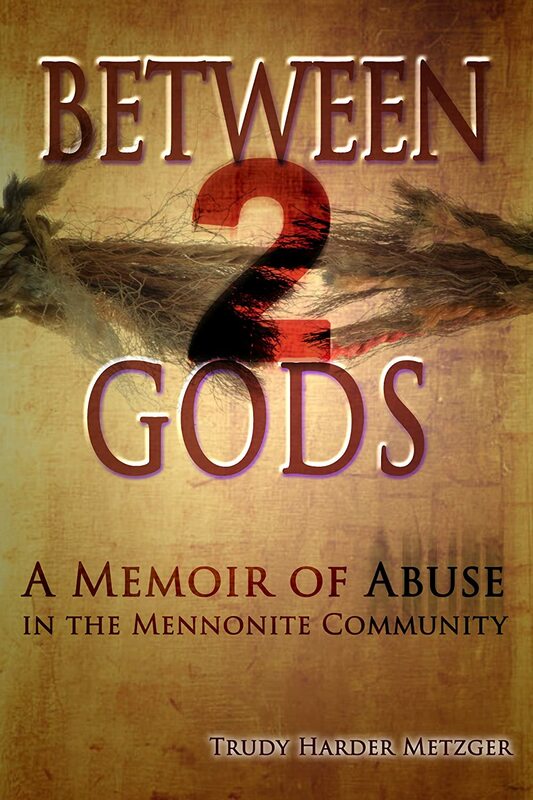 For me, the two most powerful forces that robbed me of my ability to bond were violence and sexual abuse. In that order. As much as sexual abuse was damaging, in many ways the fear of Dad killing me was far more damaging. The man who should have been my protector, my hero, instead threatened to kill our family, and me specifically on at least a few occasions. If I held so little worth to the man who conceived me, whose DNA I carry, who engaged in the act that brought me into existence… then what am I? Not who am I… but what am I? I remember as a child wishing I had been born into the animal kingdom instead, where feelings and contending with God did not exist. While I didn’t fear my mother, my relationship with her was no more affirming. I mostly don’t write about it, or speak about it, because she is still living and I have no desire to wound her. But the damaging effect of words she spoke, affirming Dad’s darkness over us, and adding her own, created the same disconnect. How can I feel guilty for those things? How can I feel guilty for the things that were destroyed in my mind and body, during that process. Trauma physically changes the brain. Yes, God heals. But He doesn’t always heal our way. Where life and trauma took away my ability to feel certain things, God has redeemed, and continues to. But sometimes, rather than ‘restoring’ and ‘giving back’ what was taken, He uses that for His good, and for the good of people in our lives. I am convinced that whatever was destroyed in me through violence, is the very thing that now makes it possible for me to hear the hell and horror I hear in people’s stories. I can sit across from a young woman who says she was gang raped by seventeen men, and torn and destroyed. My heart breaks for her. But it doesn’t destroy me. I don’t go home, traumatized and terrorized. I don’t have nightmares. When I meet with women who were in the occult, as children, and tied to beds as little girls while being group raped, with parents or grandparents in the room, possibly as part of the ritual… or tied to trees and raped… When they tell me how they were induced into early labour, using drugs meant for animals on the farm… and how they watched as their babies were sacrificed… I don’t fall apart. My heart aches for them. I go home. I pray for them. But it does not destroy me. It can’t. Why? Because something was destroyed in me many years ago. So I hear the worst of it. I love through the worst of it. I care and, yes, there are times I weep for people when they tell me their stories. I have a very tender heart But it doesn’t destroy me. Why should I feel guilty? Why should you? It is a lie of the enemy that you or I should feel guilty for the impact that the sin and abuse of others had on us. No. We do the best we can. We bond the best we know how, with those immediately in our care, and in our lives. We love as deeply as the person who bonds well. We just love differently. And we love the best we know how. Yes it is frustrating. But the frustration comes back full circle to the power guilt has over us. We feel as though somehow we should be able to control it. Fix it. Make it right. And, apart from miraculous healing, these things cannot be made fully right. We worry that if someone close to us dies, we won’t even be able to grieve properly. I’ve worried about that. Before my father died, I worried about that a lot. And maybe I didn’t grieve the way someone else would, but I grieved. And the way I grieved was healing for me. I will write more of that in my journey to forgiving my dad. We are ashamed to admit to our friends that we don’t miss them when we are apart. (Even though, when we see them, we may be very aware how deeply we missed them.) We worry that they will feel we don’t value them, even though we would lay down our lives for them. We feel like terrible parents because our children can leave us for a week or two, and we don’t stand around wringing our hands, worrying or moping about how we will carry on. We miss them but releasing them isn’t as hard as it is for other parents, so we question what is wrong with us. We love them but we don’t pine away, waiting for their return. The sense of loss we feel is valid because we have been robbed of the natural bonding ability. When I think back to waking up that last morning in Ethiopia, I realize that loss most profoundly, because that morning I felt something I have rarely felt in my life. I opened my eyes and my first thought was, “This is the day I go home!” and my heart nearly burst with a blend of anticipation and missing my family. I knew I had a 21 hour flight ahead of me, but it was the home stretch. And in that moment something pulled on my heart-strings. I pictured Tim and our five beautiful children. I tried to imagine the hugs and kisses the children would give me. Our youngest was 4, our oldest was eleven and they were all still very generous with their hugs and kisses. However, it was being apart that tore at my heart that morning. The thrill of heading home was great, but missing them desperately is the deepest love I have ever felt. Even now, when I remember lying there alone, in Ethiopia and feeling that bond, the tears start. I wanted to move time, and move the world, just to hold my family in my arms. It is one of the only times I have experienced that feeling, if not the only time. It should hurt to be away from those we love. Not all-consuming. Not destroying. But it should hurt. And for some of us we need to grieve being robbed of that. It is a huge loss. Part of the healing comes in first grieving that loss. It also comes in allowing Jesus to redeem that loss and letting Him use it for His kingdom purposes. But, in my experience, the biggest part of that healing was in letting someone into that secret place. Letting someone know the raw, horrible ‘hell’ that took that innocence from me. Telling someone ‘safe’ your story of pain, letting them hold you while you weep–if that’s appropriate and something you need–and having them pray with you, love you and not judge, is one of the most critical steps in healing. I urge you, if this is your story, find someone to go there with you, whether a counsellor, a friend, a safe pastor or other trustworthy individual. But make sure it is someone who will hear you, believe you and love you just the same. If you have not been through any abuse or violence, affirm your friends who have. Statistically 1 in every 4 of your girlfriends, and 1 in every 6 of your guy friends has been sexually abused. And those numbers are based on those who talk about it. That means you have friends with stories you may never have heard. So, if you were spared, I promise you that some of your friends were not. The best gift you can give them is hearing their story, believing it without question, and loving them just the same. It is the most beautiful reflection of Jesus they will ever see. On the flip side, if we invest our hearts and our love in relationships, especially our children, to not be all torn up about releasing them is not a bad thing. It gives them the freedom to live full lives without fearing that it will destroy us if they leave and choose a path of higher risk. It may well be that God needs us to release them for a specific purpose. One that a more clingy mother would struggle to release them into. There is a silver lining, or two, in every situation. The most important thing is to make the best of it and let God redeem the brokenness for His glory. He makes all things new. All things. So this is the reason I do not miss people. The reason I do not bond. And yet I have hundreds of friends. I would definitely agree with that, based on what I see in people I meet with, and in certain areas of my life. Ironically, my father gave me an element of that. He affirmed my intelligence and my abilities, but not my ‘personhood’, if that makes any sense. So there are many contributing factors, and each influences us to varying degrees because our personalities also come into play. I do think we can have meaningful friendships in spite of that lack of strong bonding. I love my friends and I have, quite literally, hundreds of them. When I’m with them, they are my world. When they’re gone, I love them, but focus on the people in my present. That’s not all bad either. Thank you for reblogging. Be blessed! This lack of connection is very common in children who spend time in foster care, or unstable situations. This is a widespread problem in our society. Thanks for reblogging. It makes sense that foster children (and many others) would also struggle with this. Trudy, I hope I can properly express what I’m feeling after reading this… Maybe, maybe, this has a hidden blessing specific for the ministry you’re in. For someone else who would get emotionally destroyed every time they hear a story of pain, your field of ministry would quickly cause emotional exhaustion and burnout. Not saying that you never experience that, but maybe your emotional distance gives you a better stamina for this? But of course God has equipped you adequately to fulfill His calling on your life! 🙂 Blessings as you continue to turn an inheritance of anguish into a legacy of redemption! Lanita, I completely agree with you. There are aspects of dealing with the aftermath that require a lot of effort on my part–like nurturing relationships and ‘growing’ bonds that don’t come naturally, but I definitely don’t burn out from hearing people’s pain. And I thank God for that because everyone needs their story to be heard without judgement, no matter how horrific. I thank God I am able to offer that. And because of my own experiences, I often ‘feel’ (on an instinct level) when someone has a tragic story. So as much as the ‘bond’ is a battle, connecting is not. I connect instantly with most people, and almost immediately feel as if I’ve known them for my entire life. It is altogether mysterious, and I thank God for it. Thanks for your insight and encouragement. Thanks so much for this. God bless you. Although i wasn’t abused, i don’t feel either. And, i don’t trust easy. To me it’s life. Death happens, pain is endured. What makes me cry is the fealing of abandonment. That is the only feeling i can’t control. The rest, well, it isn’t a feeling. Leroy, having met with you and your wife, and hearing a bit of your story, this makes perfect sense. In your case, as in mine, God is using your story to bring hope to others. You both inspire and encourage me. Thanks for this blog. It answers some ‘ niggling’ questions I have concerning the situation I am walking in.